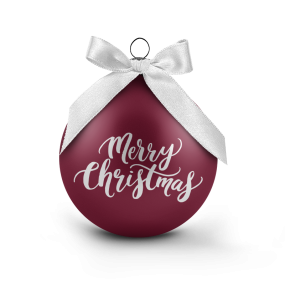 You are here: Home / Blog / Holidays / Christmas Holiday Season! The most wonderful and busy time of the year! 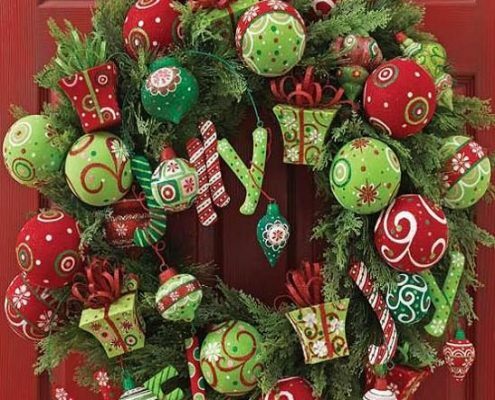 Are you ready for the holiday season? 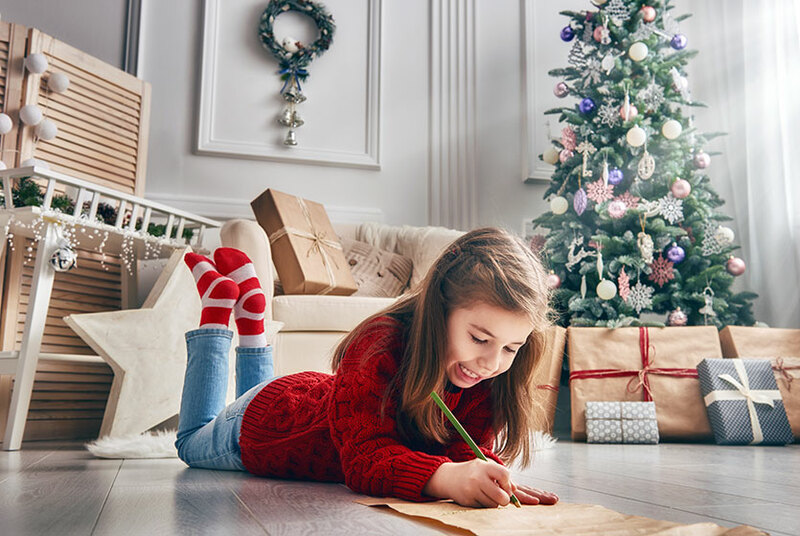 Have you made your list and checked it twice? So many things to plan for; gifts, meals, guests from near and far, games, and the list goes on and on. 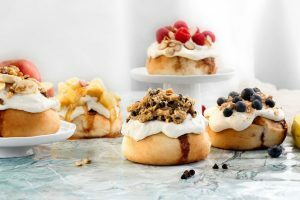 I have a few ideas for the perfect gift, accommodating guests, and delicious treat ideas just for you! Do you know where your guest will be sleeping? Wall beds are a great way to make sure that your guests have a cozy and comfortable place to sleep when they visit for the holidays or any time of year. By having a Wall Bed installed by Classy Closets, you are creating a room or space that can provide many purposes throughout the year. 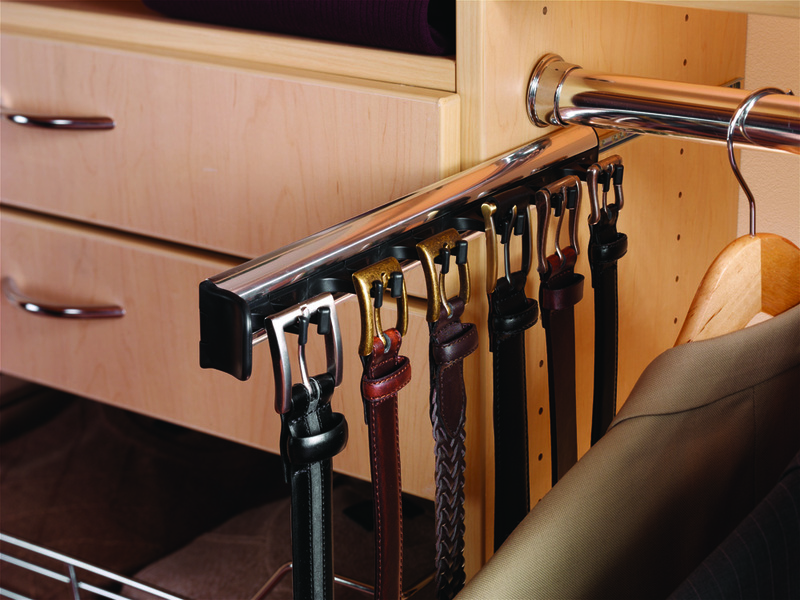 An office, craft room, or library will transform into a guest bedroom with the pull of a handle. Wall beds don’t take up a lot of space. Just 16 3/4” of vertical depth when not in use and they look classy closed or open. 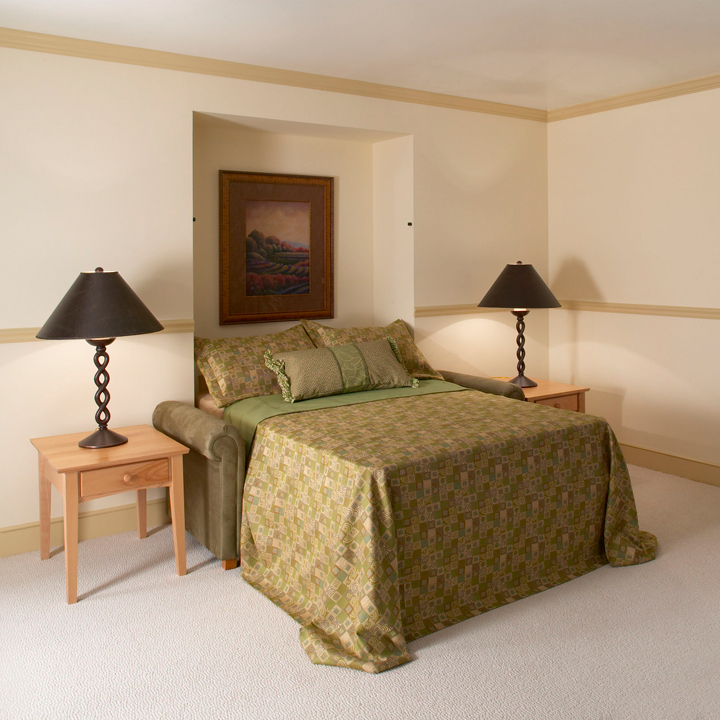 Wall beds can accommodate up to an 11” tall mattress for your guest’s comfort. Your guests will always have a place to stay without the expense of a hotel, and you can experience the joy of having your family close. Gift certificates are a great way to make sure that the recipient will enjoy their gift. Having a custom storage solution created by an experienced Classy Closet’s Designer, in any room of the home, is a gift that will keep on giving for years to come. 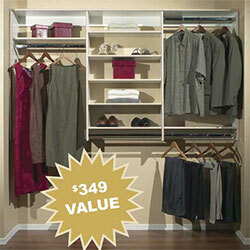 Classy Closets can help make your Christmas shopping a breeze. Stop in for a Gift Certificate at Classy Closet’s showroom at 7515 South State Street, Midvale, or call our office at 801-572-7712 to receive a gift certificate through the mail. It’s fast and simple… orders yours Today! 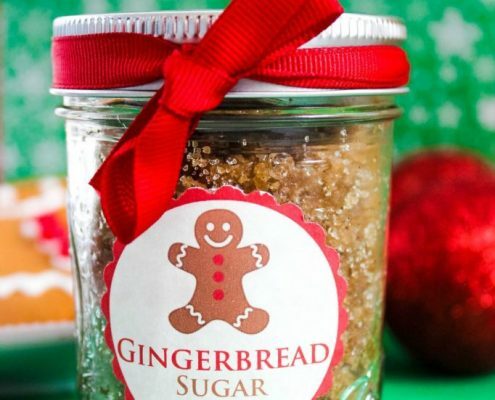 Classy Closets has a large assortment of high-quality stocking stuffers. 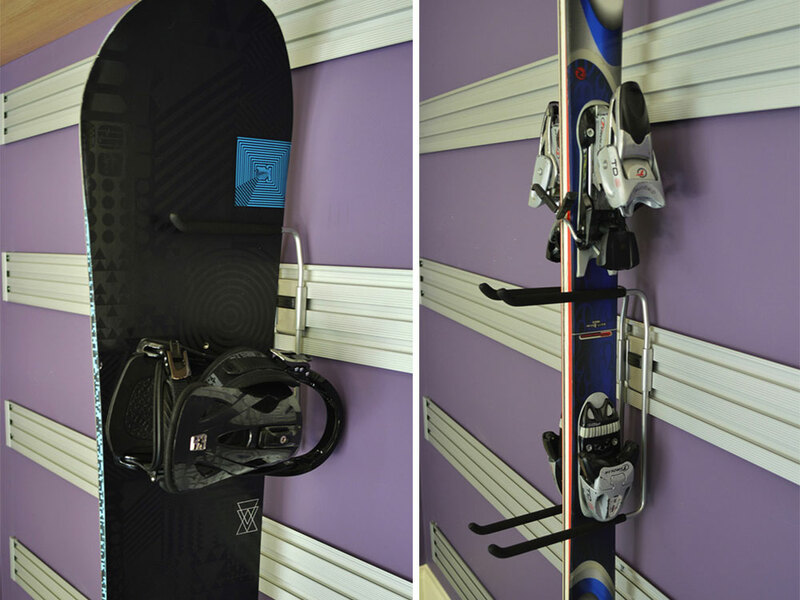 Great updates and upgrades to any closet. Add a valet rod, tie rack, scarf rack, or belt rack. 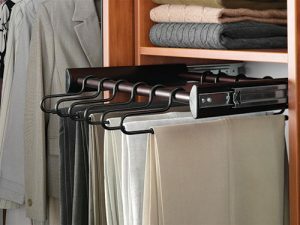 They are simple to install and add so much function to any closet. 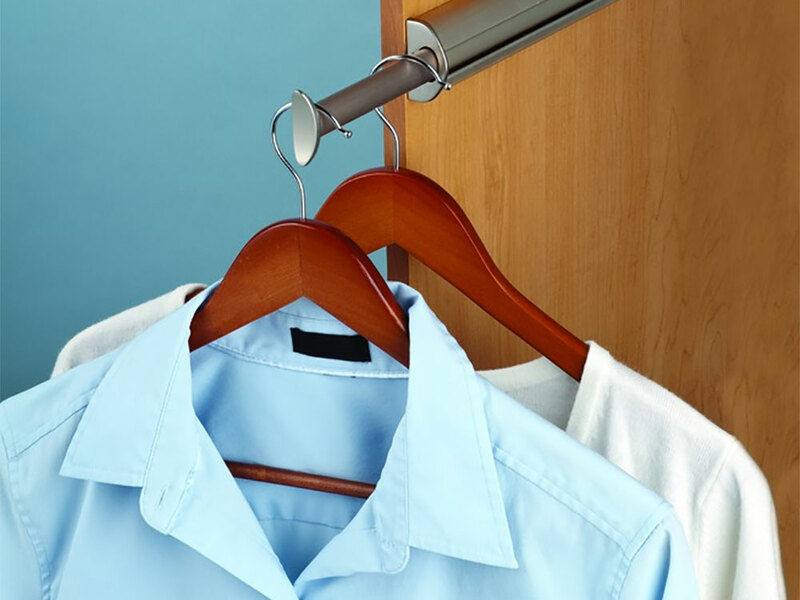 Valet rods can help save time in the mornings by hanging your day’s outfit for the following day, before bed. 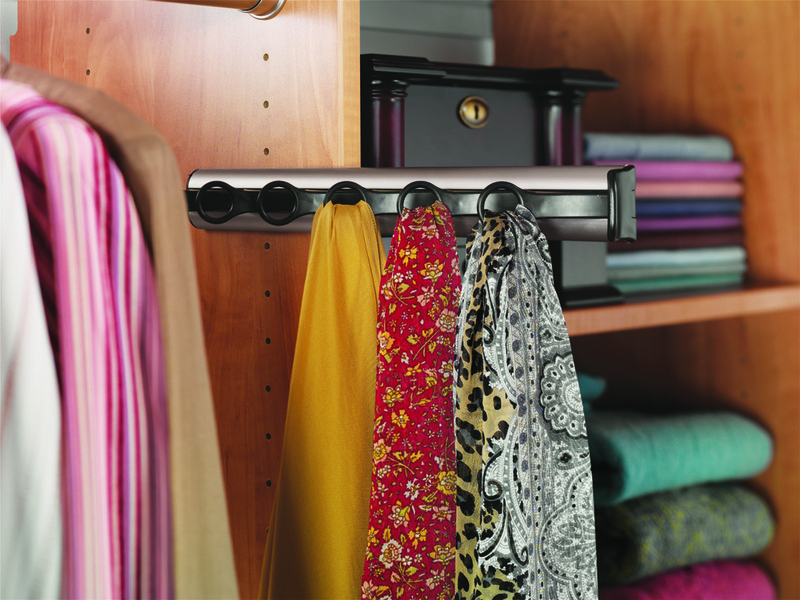 Valet rods are a great place to land your dry cleaning or laundry when bringing it into the closet for placement. 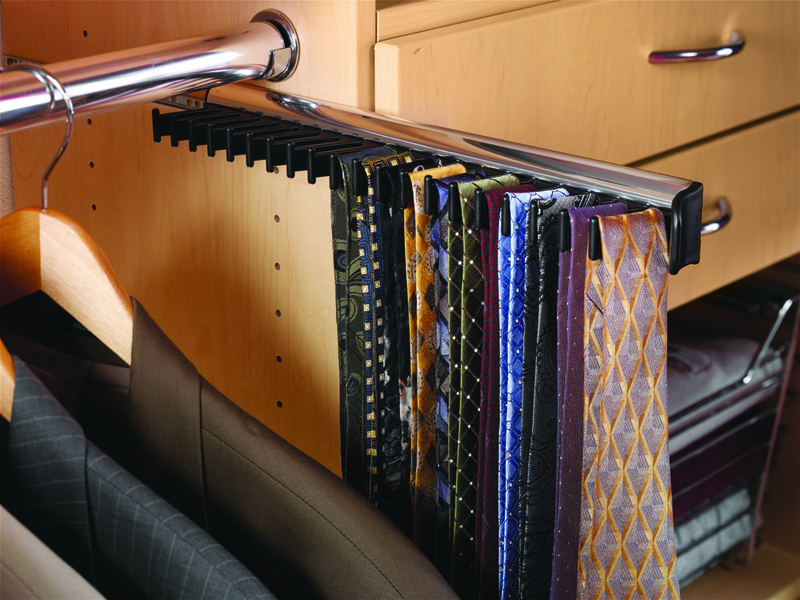 Tie racks and belt racks are great for men, while many women use our belt racks for hanging necklaces rather than putting them in one of our custom velvet jewelry drawers. 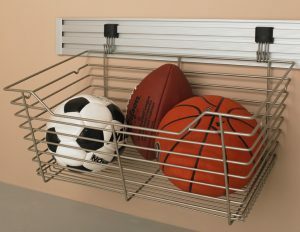 A scarf rack with a few new scarfs included in the stocking would make any scarf lover jump with joy! Our closet accessories come in a variety of finishes. 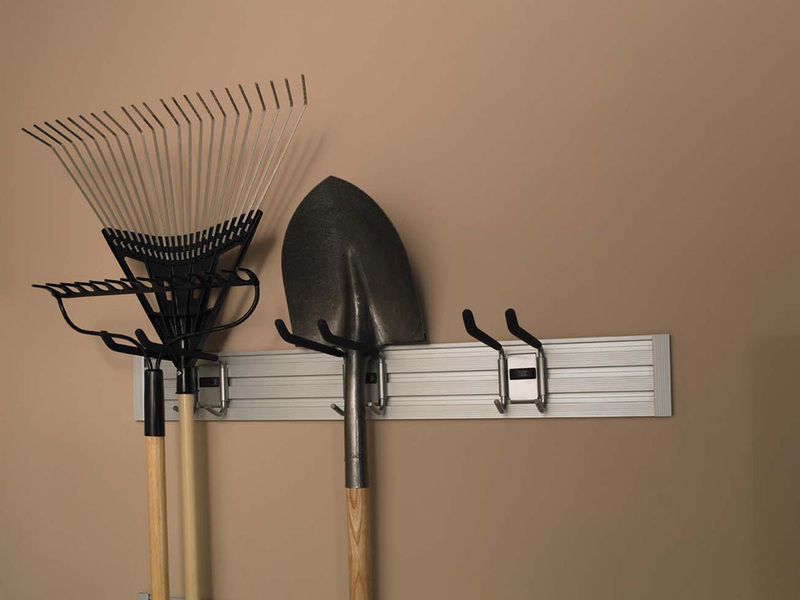 Increase the use and function of your garage walls with Omni Track and Omni Accessories. 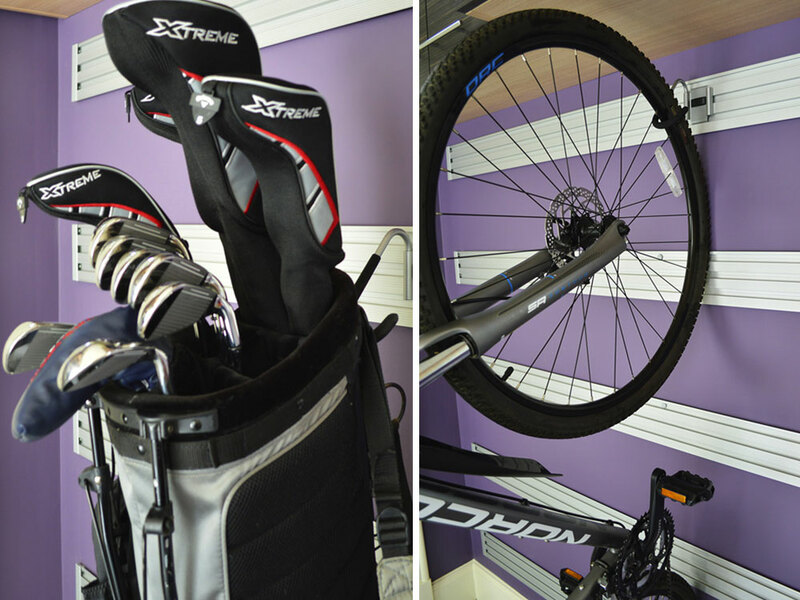 Hang your bikes, skis, golf clubs, and so much more. 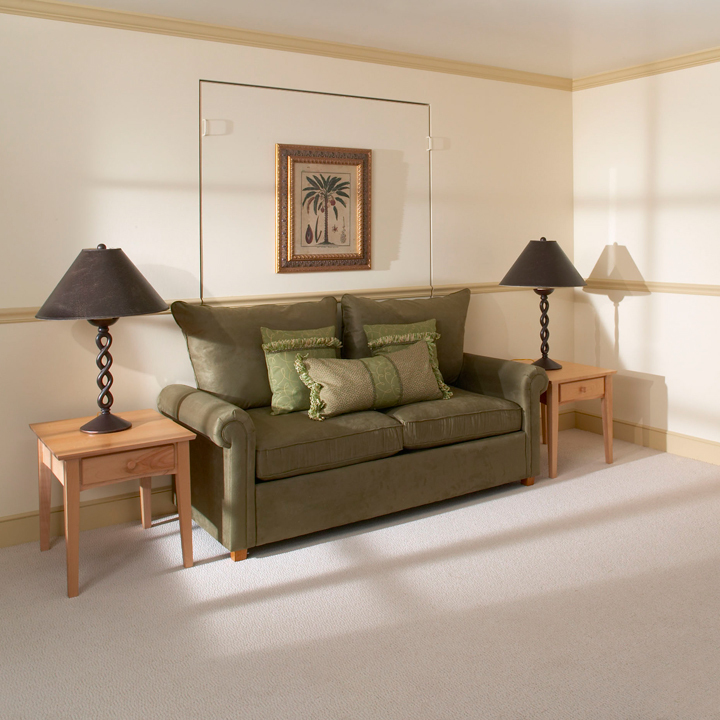 Omni Track helps to create more uncluttered floor space. 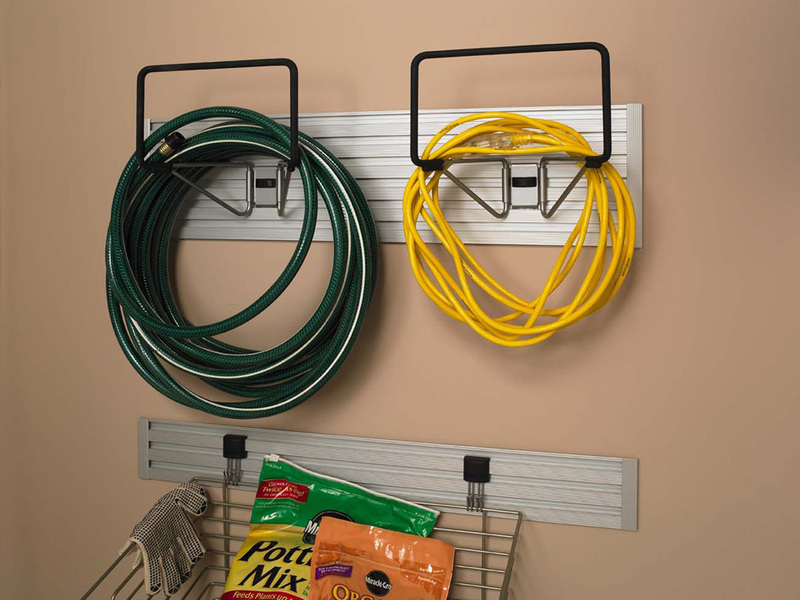 These are great gift ideas to help keep your loved ones organized. You will have a proud feeling every time you pull into the garage. Call me crazy, but one of my favorite gifts is from an old neighbor, it’s her homemade jam. In fact, my entire family loves it. It’s delicious, and it’s something we look forward to every year. It has become a tradition. Such a yummy and appreciated the treat. She has left me a jar at my parents every year since I moved out. My Mom always tries to deny that she left me one, so she can have mine. 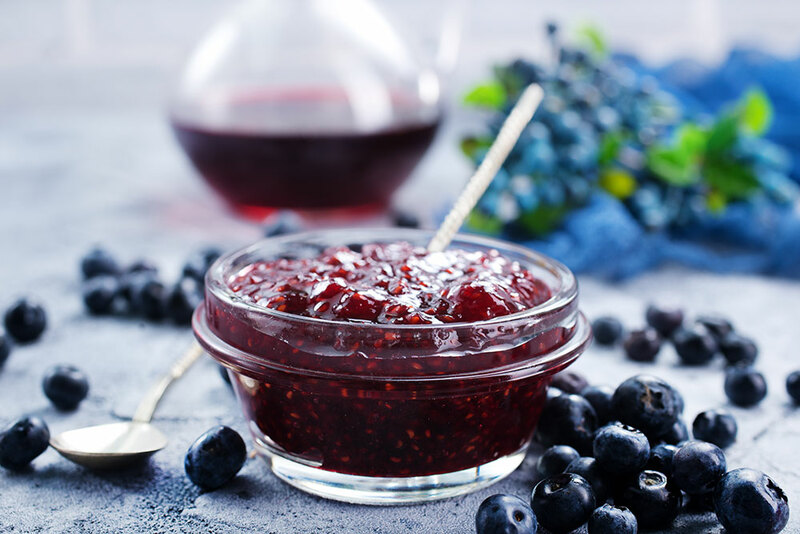 Here are a few tasty jam recipes you might like to try. 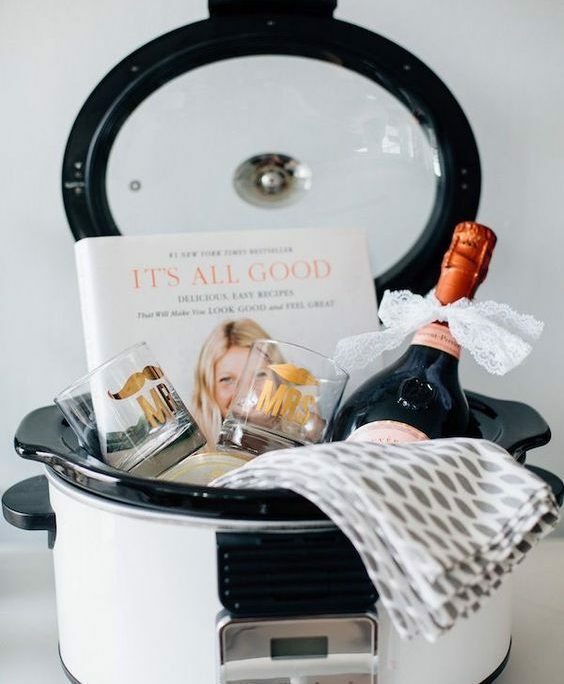 DIY Crockpot gift basket idea for a newly married couple, someone that has just purchased a new home, someone who is very busy or cooking for a crowd. You can customize the theme to be a dessert basket. 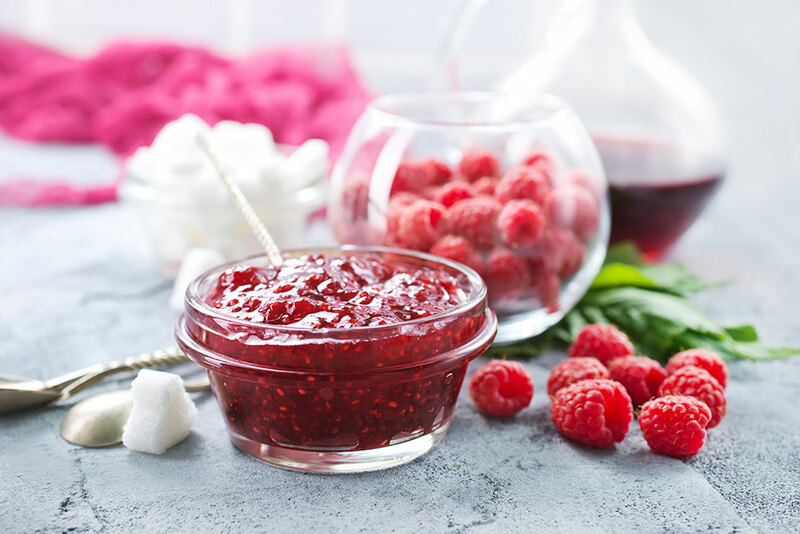 Include a recipe book on crockpot desserts and the ingredients needed for one of the recipes. Another theme would be for something savory, like soup. 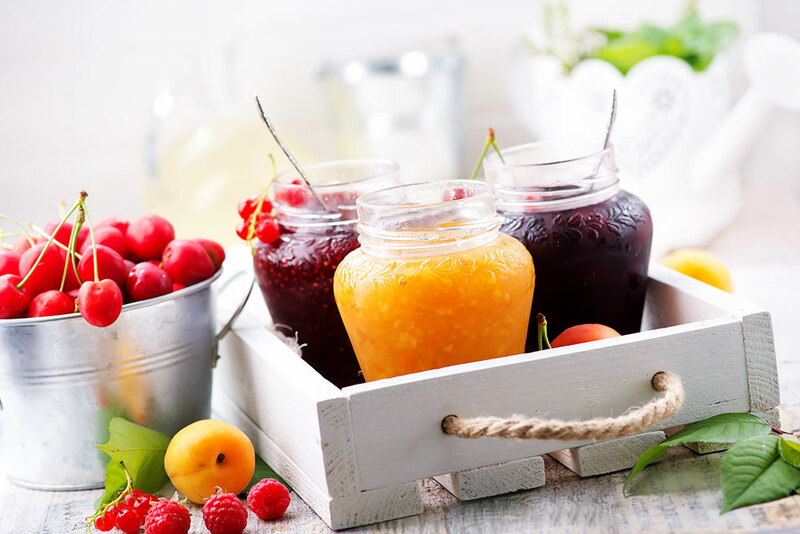 Again, include in the basket a single recipe or a recipe book on crockpot soups, called for spices, or some cute soup bowls. 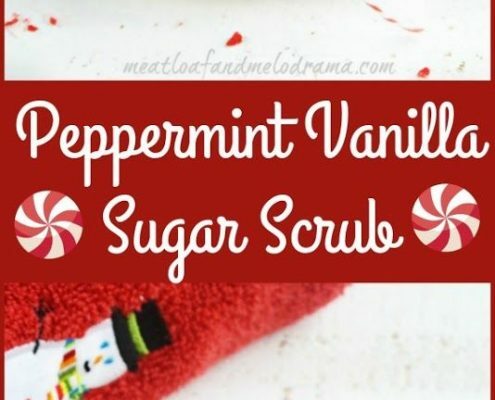 Here are some fun DIY holiday scrubs you could make and give to the spa lovers or the mom in your life. Did you know that body scrubs can cost over $50.00? 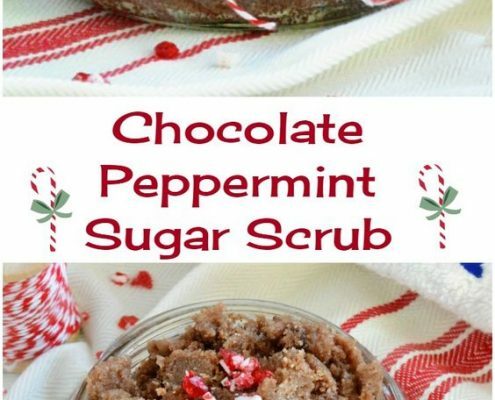 These DIY body scrubs are cost effective and perfect for the holiday season. What a way to relax and pamper someone after a long day of shopping. 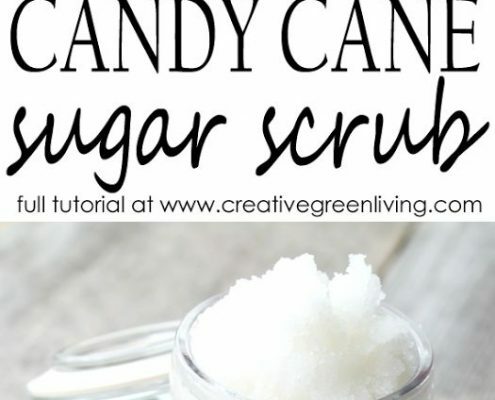 Below is a blog I love, showing how you can make 36 scrubs for under $2.50. Now that’s a price tag you can live with on any budget! 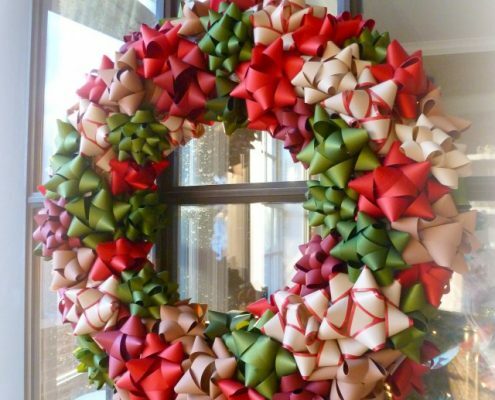 I love this creative holiday DIY! I spotted this fun gift idea on blue-eyed blessing’s blog. She has a tutorial showing just how she turned a shadow box into a piece of memorable holiday décor. 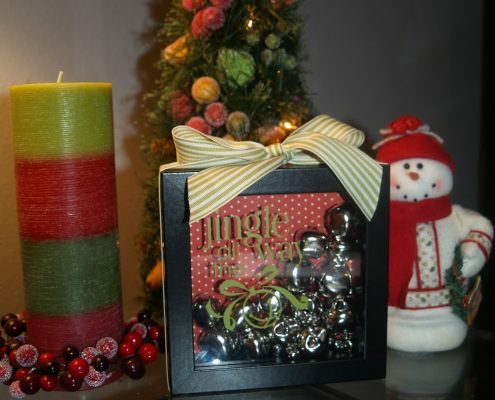 A shadow box, mini ornaments, word decals, and you are on your way to a one of a kind piece of art. They are adorable, and anyone would love to receive this DIY. The recipient will think of you every year when it is displayed. Here are a few other great ideas for some DIY shadow box décor. I need more doors at my house! 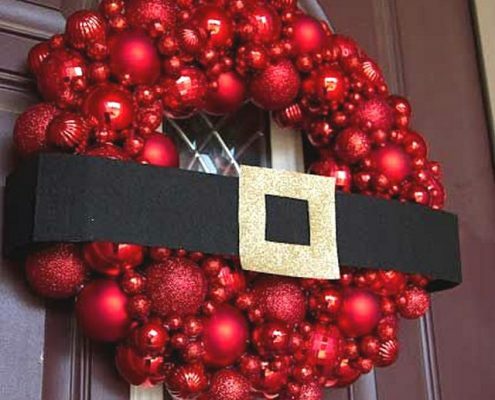 The adorable DIY holiday wreaths will guarantee that you have the cutest front door on the block. You can find a lot of these items at the dollar store making this an adorable and cost-effective gift. Happy crafting! 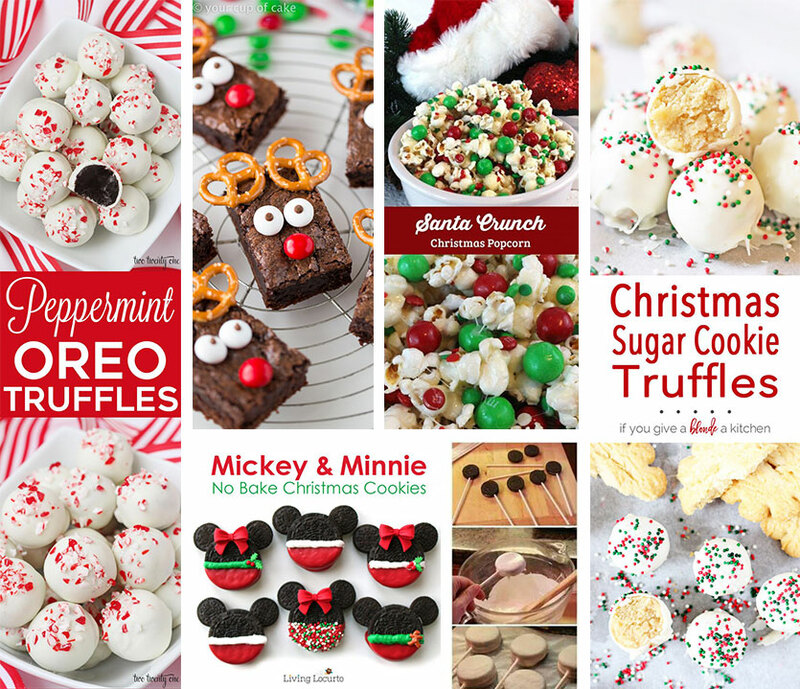 Pinterest is never short on fun ideas, décor, makeup, outfits, and treats. Here are some adorable treats I found on Pinterest. 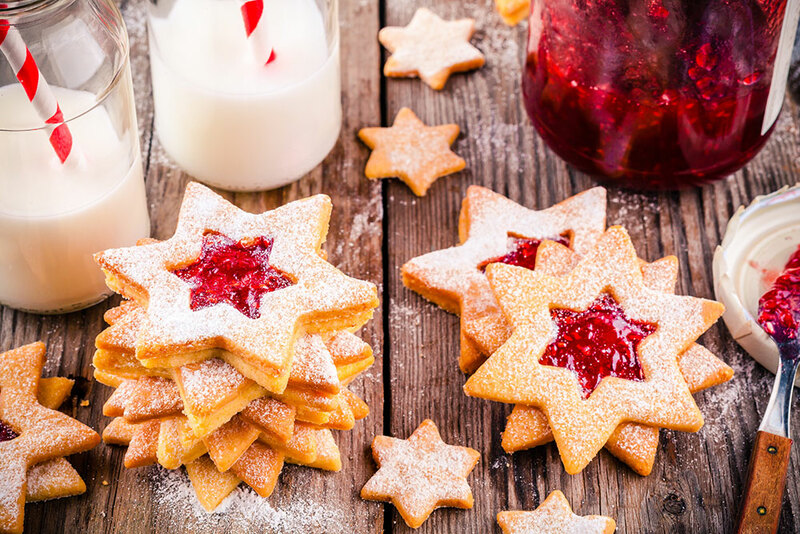 Some of these ideas could be perfect for your holiday party. The kids might even want to help with these ideas! If these photos don’t convince you to create an account on Pinterest, I don’t know what will. you’re there grab a few extra for yourself. Here’s a link to their website so you can find a location near you! 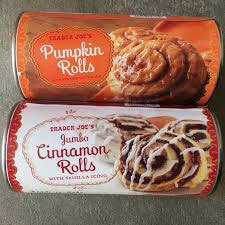 If you don’t have a Cinnaholic near you but have a Trader Joe’s close by, I recommend you pick up their cinnamon rolls. I love both flavors. The pumpkin is a seasonal item, but the original is available all year. They are delicious, and I like to keep extras on hand, in the fridge for an unexpected guest. They take about 20 minutes and, you will have delicious fresh from the oven treats to serve. Perfect for busy family! Call us and Order Your GIFT CERTIFICATE or Schedule a FREE CONSULTATION with One of Our Design Team Today!